Group and individual project at BSc in Industrial Design, TU/e, 2014. 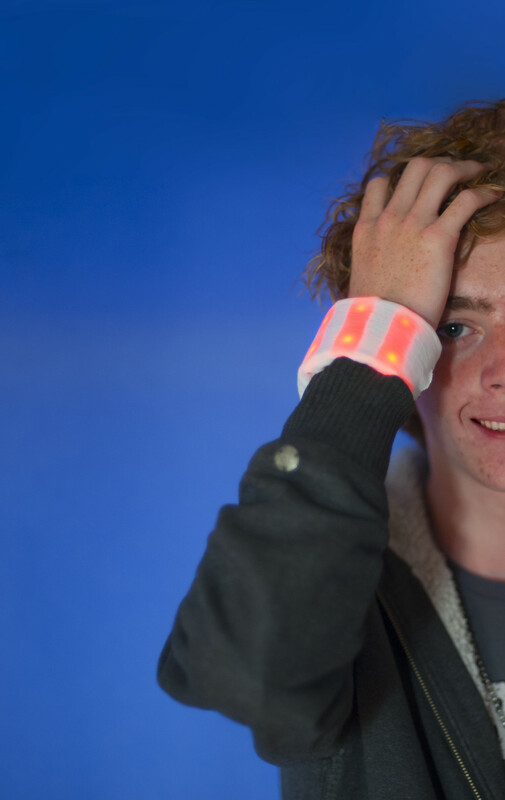 The wristlight is an interactive, connected light object. It communicates abstractly with a good friend or loved one. 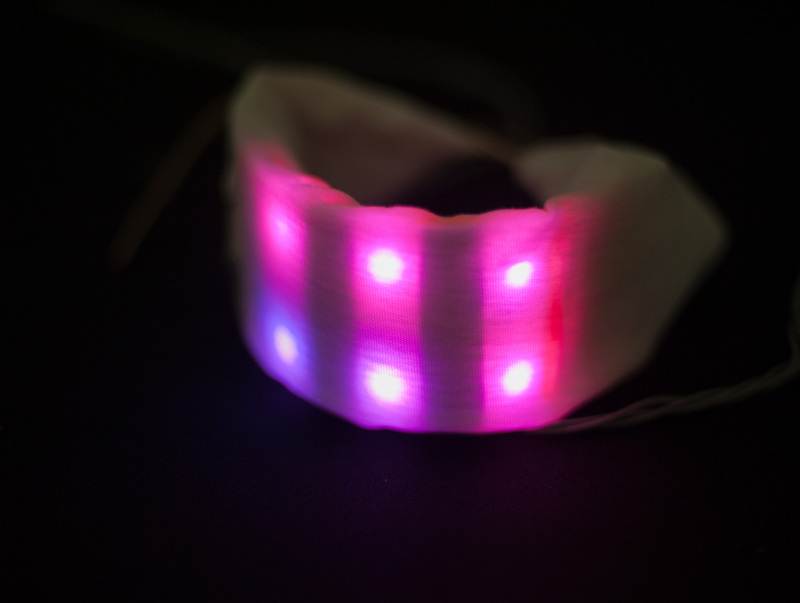 The Wristlight is an interactive wristband, that allows abstract communication (through colour and movement) to other wearers of the wristlet, as well as other lamps within the same system. As a group, we designed the system of lamps. 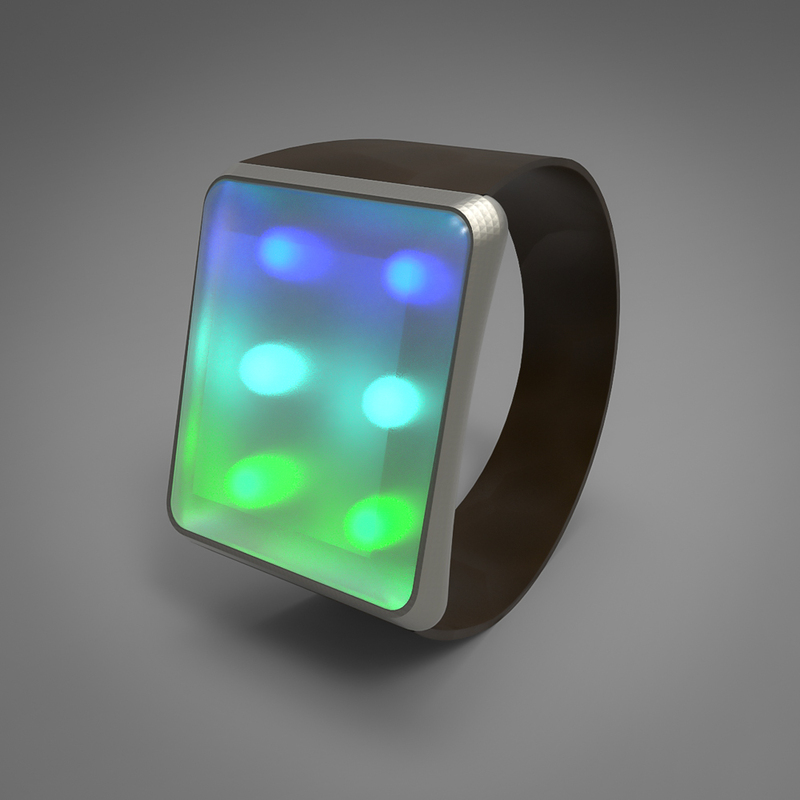 The wristlight itself is my own design and my own effort to create the functioning prototype, including the communication through Bluetooth and smarthone app. The goal of the system of lamps is to keep people in contact using communication by light. Through this abstract form of communication, people will get curious and feel connected abstractly. In this way, the system is teasing the users to connect more. This rendering shows a potential design of the wristlet. Now (2017, three years after the project) the relevance of the wristlight is a lot less. An app for Android or iOS smartwatches can easily replace an important part of the function. At the time of designing this project, smartwatches were not yet widely available which made this design the most suiting solution. 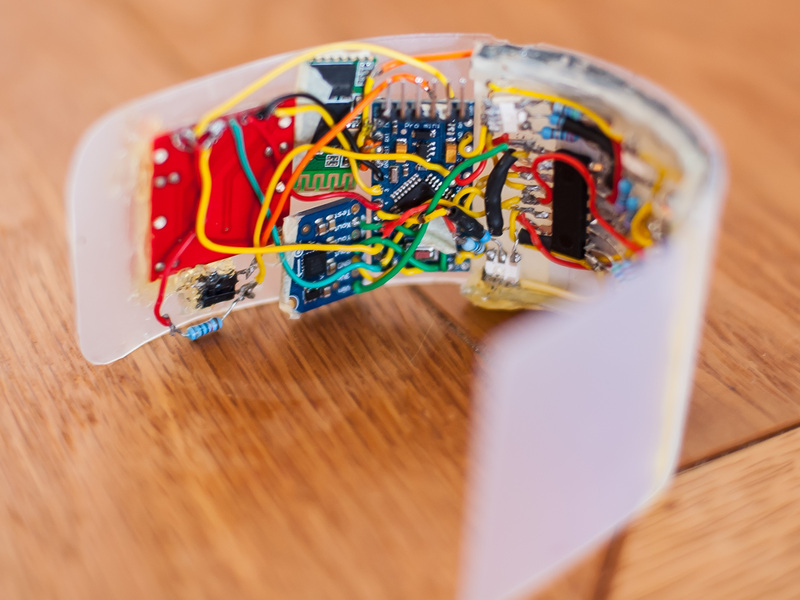 The pictures below show the functioning prototype and electronics.